Follow the links below to view the images in our photographic archive of the villages, towns and cities of Ostbrandenburg (Neumark), Germany. Since 1945, largely the province of Lubuskie, Poland. New images from our collection of pre-Second World War Neumark are added on a regular basis. 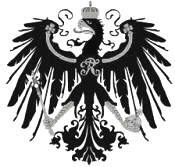 Return soon to see more of what was Ostbrandenburg (East Brandenburg) and/or Neumark, Prussia, Germany. At the end of the Second World War when Ostbrandenburg / Neumark became part of Poland all of the locations below were renamed. The post-war Polish names for each location can be found on the relevant page for each village, town and/or city.